What are the best unique gifts for working moms? Well, I would love it if it is something that lightens my mundane household chores, appliances that help me cook fuss free healthy meals, delicious food gifts packed with pretty wrappings or perhaps something that I can use to pamper myself after a hard day’s work. So what are the good gifts to buy your mom for Christmas? 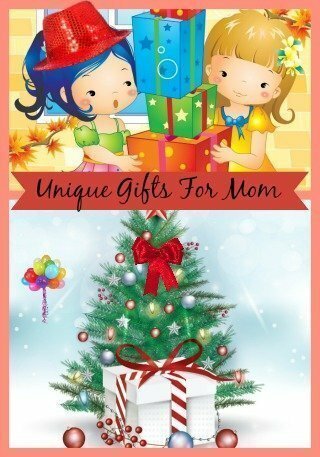 These gifts for mother are just as great whether buying for birthday or Mother’s day. Modern kitchen appliances such as the hot air fryer helps mom to cook healthy low fat meals fast and with minimum mess to clean up. The air fryer cooks deep fried food such as French fries, chicken pieces, steaks etc using hot air instead of hot oil. 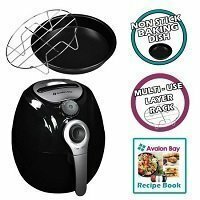 Mom would be pleased with this kitchen appliance that can fry, roast, grill and bake without using oil or at the most, a tablespoon of oil. 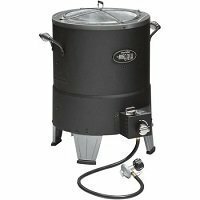 The Char Broil oil less turkey fryer uses radiant heat instead of hot oil to fry your turkey. Deep fried turkey minus the oil and extra calories sounds real nice, isn’t it. Mom would be pleased too. A good blender such as the Blendtec blender is a healthy and fast way for busy mom to include fruits and vegetables into her diet as well as those of her family members (you included). It is a great way for her to get a quick nutritious breakfast before rushing off to work. from you. You can get them packed in beautifully wrapped baskets, lovely tin boxes or in cute little collectible jars. 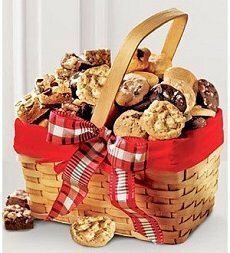 Lovely chocolates in a basket, delicious homemade jams, assortment of melt-in-the-mouth cookies with fancy packaging would make mom smile with delight. 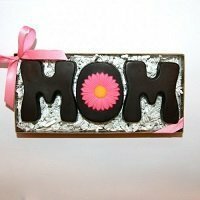 Then there is the unique mom’s dark chocolate made specially for her. The Dark Chocolate MOM Letters look lovely and would make a great holiday gift for her. 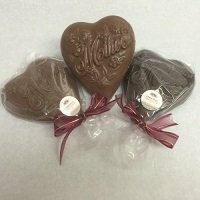 The mother’s heart chocolates look equally lovely and sweet. Mom will love them too. I certainly do. I’m sure she’ll share them with you. Supercharge mom with these easy to prepare whole foods full of nutrients. Yes, present mom with the gift of healthy nutritious food. 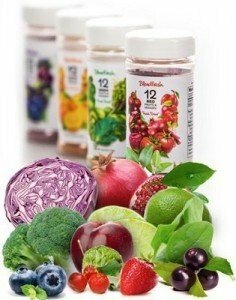 The Blendfresh fusion powders are packed in color groupings of green, red, orange or purple, each with their special group of phytonutrients. You can get individual pack or just get her the whole 4 sprinkle bottle set and watch the glow of happiness on her face when she opens the gift. Make mom elegant and beautiful with comfortable organic cotton dresses, tops, jacket. Pair it up with the soft felt fedora, a tote bag and feel proud you have a hand in dressing mom up for Christmas. Organic clothes from BeGood are made from sustainable fabrics and non-toxic dyes. Meaningful decorative gifts will always remind mother of your love throughout the year. When she comes back from work feeling tired, a glimpse of your decorative piece will no doubt make her feel loved and appreciated. Beautifully hand crafted glass figurine by Glass Baron, it features a mirrored base and a lovely message. 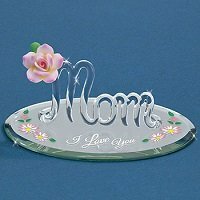 The message “Mom I love you” decorated with a pink rose and accented with 22k liquid gold made this 3 dimensional hand blown glass figurine truly a sentimental gift for her. Yes, mom will turn to you with teary eyes and says “I love you too”. This figurine features a loving mother holding her child and gazing tenderly onto the child’s face. The loving mother is wearing a long blue dress with her hair neatly tied back and the baby is wrapped in a long white towel. This porcelain figurine measuring 12.25″H x 4″L is made in Spain. Just by gazing at this lovely mother child figurine, you can feel the strong bonds of love between them, a graceful and elegant piece. It would indeed be a sentimental gift for mom whether celebrating her birthday, Mother’s day or Christmas. Pamper your mom with the spa gift baskets, natural scented soaps and candles gift basket this Christmas. Natural scented gifts are normally made with the finest natural ingredients. In this scented gift basket, you get a lavender and lemon scented soap ball, Monticello’s lavender powder, wildflower soap and lavender soap, butterfly pattern tissues, a handmade tissue holder, Monticello rose petal lotion bar, and a mini pear shaped candle. Nicely packed in a hinged keepsake basket that can be recycled, it has all the lovely scent and aroma for mom to relax. The lavender bath truffles come packed in a tin box and nicely tied with a big ribbon. You get a total of 5.5 ounces of hand made bath truffles. It’s relaxing and very zen-like when soaking in a fragrant warm bath of melted bath truffles. These bath truffles are made with shea butter, cocoa butter and essential oils and these ingredients hydrate the skin. The list of ingredients used for making the bath truffles include Shea Butter, Baking Soda, Kaolin Clay, Citric Acid, Cocoa Butter, Essential Oils and Fragrances. What to buy for mom when she seems to have everything? Her kitchen is fully stocked, she has lots of beautiful clothes, she has lovely decor items on her shelves. Well, get her some fresh flowers or handmade gifts such as these below and wish her always have a joyful heart. 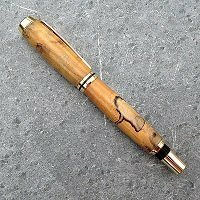 Measuring 5″ in length, the tulip poplar twist pen is handmade by a local artisan using wood from the tulip poplar tree. It writes beautifully and would make a great useful gift for your working mom. There is a story behind these tulip poplar tree. These trees were grown by Thomas Jefferson and the trees have since succumbed to age and illness. 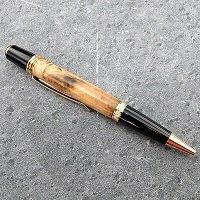 They were not just simply cut down to made these beautiful items. These are truly meaningful gifts. Do click on the images to get more info. A lovely pendant signifying a joyful heart would make a lovely mother’s gift. This is a heart-shaped 12mm 7ct tw created ruby pendant, accented with 1mm 0.35 ct tw created white sapphires and set in sterling silver with a rhodium finish. The joyful heart pendant comes packed in an 18-inch sterling silver box chain with spring ring closure. The pendant itself measures 7/8-inch including bale. Giving joy to your mom is such an awesome thing. Get your mom a luxurious alpaca wool cardigan or sweater – give her the luxurious warmth of your love. Alpaca wool is lightweight, strong, soft and silky with a luxurious feel. Let mom look beautiful in an elegant luxurious front drape cardigan made from 100% soft alpaca fibers – rolled shawl collar, dramatic draped front panels, extra long sleeves with fold-up cuffs. Or perhaps mom has a great love for scarfs? Then get her the stylish alpaca scarf with contrast edgings would be just perfect for winter. Knitted from very soft hypoallergenic baby alpaca, it is perfect to provide warmth from the icy winter coldness. Do click on the image for more info on the cardigan. Warm and comfortable, these cozy Alpaca slippers are made of 100% Baby Alpaca Fur exterior with Merino Wool lined interior. What a cuddly way to provide warmth for her feet on a cold winter’s day. The soft fluffy slippers come with handsewn leather soles for durability. She’ll love the comfort, she’ll love the warmth and softness of these Alpaca slippers. Fresh flowers would melt mom’s heart too. 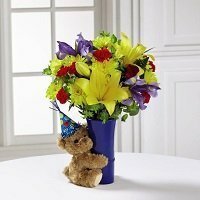 Bright, vibrant colorful flowers reminds mom of sunshine and carefree days. The rich red roses, orange roses, orange spray roses, orange gerbera daisies, orange Asiatic Lilies, flame mini calla lilies, red hypericum berries, and an assortment of lush greens make a delightful bouquet. 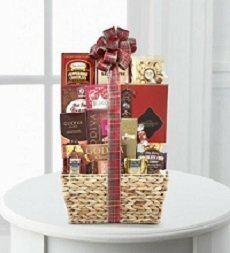 The oval stained woodchip basket adds a bit of nostalgic ambiance to your gift. Do click on the images for more more info. How about giving your mom a unique portrait pop art on canvas or paper designed using her photograph. Make her into a star. You can get it in comic style, watercolor, wahol style etc. It looks real fun and unique. Yes, mom will definitely be impressed. Lots of hugs and kisses from mom!